Today, due to the growing expenses of our daily life and also due to the growing population a major section of the global population lives in apartments. Every city has its own layout which in turn sets down the rules for the construction of buildings which may or may not be Vastu favorable. The application method of Vastu for apartments in different country will differ because of the difference in geo-location. Even if one owns an apartment one cannot bring structural alterations according to Vastu since the roof, floor and walls are shared among the various inhabitants of the building. 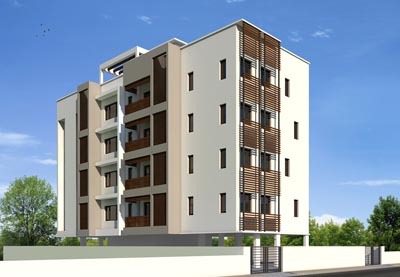 The residents will benefit a lot if their apartments are built on the basis of Vastu principles. The occurrence of Vastu errors in apartments is common and in such cases Vastu Shastra offers its help and guidance. By using Vastu for apartment we can make corrections in our apartment and rectify the defects which are hindering our happiness and prosperity. It is important to keep in mind that the scope for correction in the structure of the apartment is very less.